CE—stands for “Conformité Européene,” a French phrase that translates to “European Conformity.” It's not much of a certification, but rather, a declaration that a product meets European safety standards. 120-240V-50-60 Hz—This indicates that you can plug the charger into a 240V outlet without a voltage converter. 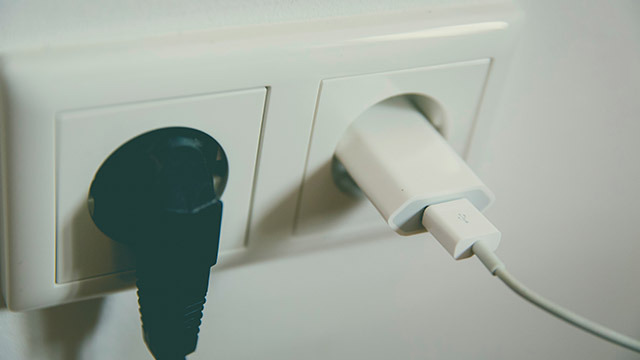 Dustbin with an X—It means the device should be recycled or disposed of responsibly as most chargers are made with materials that are harmful to the environment. Two squares—These indicate that the charger is insulated with a cover to avoid electric shock. A house (with or without an arrow)—indicates that the charger is meant to be used indoors. A rectangle with lines at each end—shows that the adapter is protected by a circuit breaker or fuse. This is commonly found on bigger devices that draw more power like hair dryer and some laptops. As much as possible, avoid overcharging. You've heard it a couple of times before—don't leave your mobile devices plugged overnight. While this is true for older devices, it's not the same case for the newer, smarter devices that we're using today as these have overcharging protection. Leaving your phone plugged-in is quite inevitable sometimes—but it's still best to unplug it to avoid accidents. Faulty batteries may cause fires and overcharging may affect and reduce the lifespan of your battery. If your charger is getting hotter than usual, that's maybe because you are using the wrong adapter. 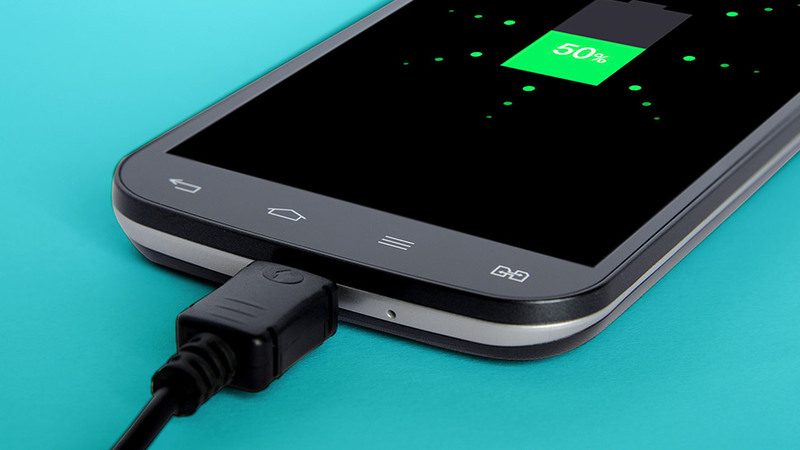 There's a new standard called Quick Charging that's in use in most mobile phones today. Quick Charge allows higher levels of current to be pumped to the battery. If you use a Quick Charge-compatible adapter on a non-compatible device, you're risking damage. Make sure that phone and charger are compatible with the same voltages and currents. A typical smartphone charges at 9V/2A, but if you use a 1A charger, the process will take longer. Be on the lookout for counterfeit chargers. As much as possible, purchase your adapters and chargers from the same brand as the devices you're using. If you're using third party products, make sure it's certified or comes from stores authorized by your device's manufacturer. If ever you encounter a spot-on imitation of an original product, this is where your familiarity of symbols will be of help. Look for typos, as counterfeit products don't usually undergo proofreading. Watch out for cheap prices also, especially if it's less than half the price of the original but looks the same. Online retailers (like Lazada) can provide product views that show the certification logos. Shady sellers will hide or don't include this. 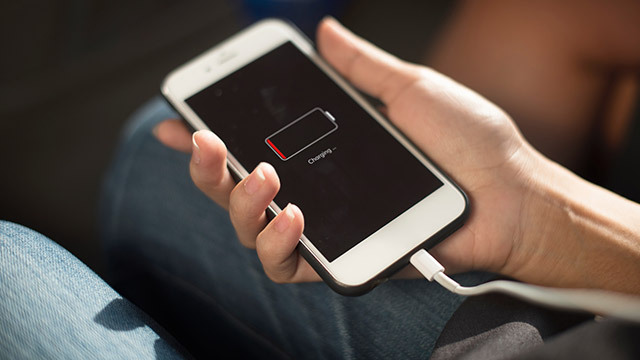 Wireless chargers are significantly safer than their wired counterparts, at it uses inductive charging, which transmits power without the need for physical contact using electrical connectors. This significantly reduces failure and risk of electric shock. The Qi specification is the most popular of the three wireless charging standards in use today and is in the latest Apple iPhones and Samsung Galaxy phones. Some of the downsides include slow charging, it's more expensive, and it can be quite inconvenient since you can't use your phone when charging. Make sure you check your phone from time to time as there are cases when wireless chargers produce more heat.